My bear-y cute valentine. | Oh Look! It's A Blog! This teddy bear from Hive is just precious, I did make it pretty large for my photo though, but who doesn’t love a giant teddy bear. (I have a giant pink one in real life lol). ● Hair: TRUTH – Kaijah * VIP Hair. 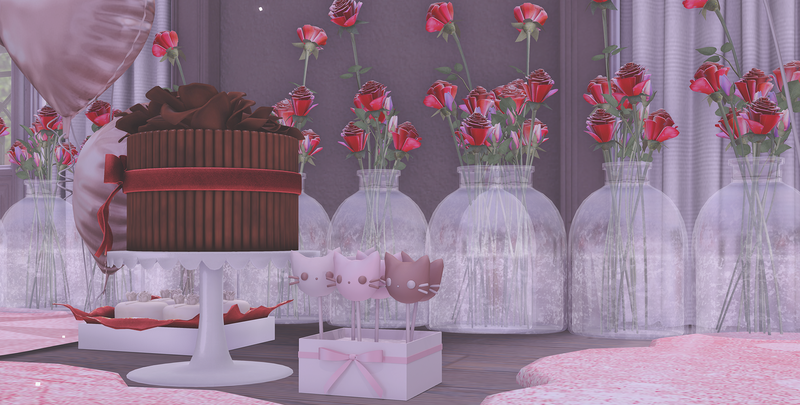 This entry was posted in iheartslFeed, Uncategorized and tagged (love), Ariskea, Balloons, Bear, Belle, blog, Bueno, BunBun, Cheeky Pea, Cotton Candy, Cute, Decor, Disorderly, Epiphany, Fashion, Gacha, Half-Deer, Hive, Home, KeKe, LeLutka, Pink, pink fuel, REIGN, Second Life, SL, Sweet, Teddy, Tee*fy, The Epiphany, Truth, Valentine, Valentine's Day, VIP. Bookmark the permalink. ← Promised you a rose garden.